Jolene Navarro here. 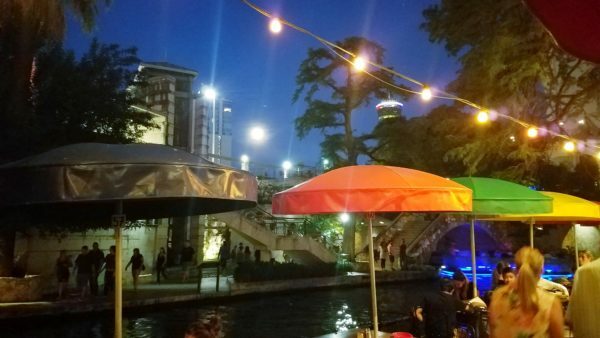 Join me today as I drive a little south and walk along the San Antonio River. I’ll tell you a story about how we are all connected. Are you the kind of person that will talk to a complete stranger in the store or standing in line? A couple of weeks ago my sister had an encounter with someone that made us realize how small the world is. position. Do not be conceited. The story my sister just told about her morning shows us how small the world is and how we are all connected if we take the time to listen. The bread delivery man was knelt down in the aisle, stocking shelves. My sister: Scuse me. I’m just going to sneak around ya for a bit. My sister: Oh, no. You’re fine. How’s your day going? Delivery Man smiles: Better if I wasn’t working. Returning smile, my sister: At least you have a job. Delivery Man chuckles: I love positivity! My sister: My grandfather was The Bread Man from Leakey Texas. Delivery Man, eyes wide. Carl Guinther! 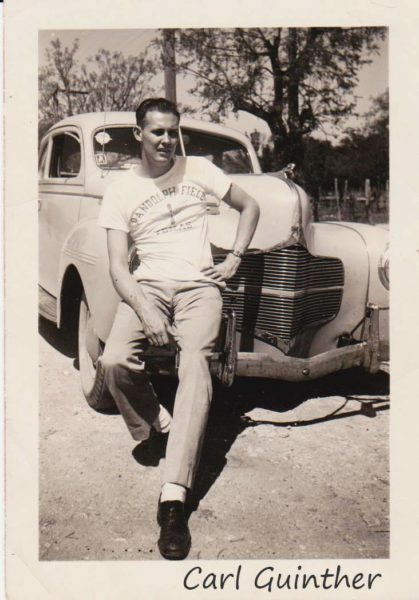 Turns out Martin worked in Kerrville and prepared our grandfather’s delivery to Leakey. They chatted awhile and my sister got to hear stories about our grandfather that died in an accident 21 years ago on Jan 2nd while making deliveries. So the total stranger was not a stranger after all and it was a great feeling to talk about Paw Paw with him. Once she tells me the story we find out from a friend that she knows Martin and his family. Her boys played football with his boys and my husband coached his sons. Like I said, not a stranger at all. By the way, Kevin, her husband makes fun of Tracye for making friends with total strangers she’ll never see again. My sister: “l keep making friends with total strangers because you never know how beautiful that can be unless you start talking and hearing their stories. Thank you Tracye for sharing your heart and your stories. Because I like having faces to names here is one of my favorite current picture of Tracye and me. We are dancing with our aunt Molly (she’s in the middle) So be like Tracye, dance whenever the music moves you and talk to strangers as if they are friends waiting to meet you. 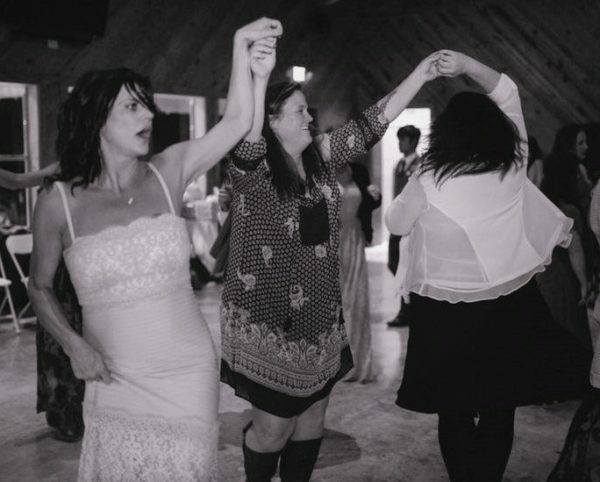 My sister that never meets a stranger, Tracye Ward dancing with our aunt Molly in the middle and me with my back to the camera. If you share about an encounter you had with a “stranger” that was more than a stranger I’ll put your name in a drawing for one of my e-books (your choice). December 1988 I was walking back to my apartment with my 3 kids in what would be the start of a snow storm. I kind man pulled his car over asked if I needed a ride. The when dropping us off at building gave me 40 dollars and said I wish it was more. That’s an amazing story. Thank you for sharing. Hi Jolene, what a great story! Do incidents like this become inspiration for stories? I have no problem talking to strangers and have met people who know people we know- in the most random of places! We were at the beach just this last Sunday, and noticed a couple of other kids beginning to dig a huge hole in the sand (something my boys love to do!). We didn’t pay too much attention, apart from noticing, until we were walking past the family to walk to the rock pools at the other end of the beach. We remarked on the hole and had a chat, then discovered that the guy’s younger brother had been at school with me! Out of all the people on a crowded beach! They do for me. God works in amazing ways and if we are open to it – we can see his touches everywhere. That inspires me. Sometimes my editor will say something is not believable. LOL I find moments in real life that are too good to be true all the time. Hi Jolene! Thanks for sharing your sister’s story. I talk to strangers wherever I am – at the grocery store, gas station, airplane, in stores, museums, restaurants or on the street. I have met some intriguing people with amazing stories. At Thanksgiving while at the Christmas Market in Carmel, Indiana I meet a couple from Germany, who lived in Berlin close to where my cousin lives. In 2008 while visiting Tokyo , a young man stopped me and asked in English if I knew where the Starbucks was. I didn’t but said I would help him find it. As we walked and talked, I found out that the young man was from the Chicago area, where I had lived for 10 years. I found out that he was on his honeymoon with is Japanese bride. We found the Starbucks and I purchased their coffees as a wedding gift. In 2002 while traveling with a group of students in Germany, we meet college students from Notre Dame. Life is full of surprises and we are all interconnected. Blessings for the New Year. Thank you for sharing! I love these stories. I like to say I never meet a stranger…lol.. I talk to everyone, especially children, and have met many nice people that way! I remember once a mom with several young ones at a restaurant, the kids were not bad, but mom was overwhelmed I think. I went up to her and told her that her children were well behaved and that I hoped she has a wonderful evening. I thought she was about to cry, so I gave her a hug, told here there would be rough times always, but to hold on to the memories, as there would come a time she would miss these days, lol! You know that made her day, and probably helped her calm down and see her children in a better way. We can get in our own head too much and become so stressed that we make things worse. I imagine your kind words made a huge difference. I can only hope so, thank you! When I was young, a man in a station wagon pulled up to the end of our driveway, motioned for me to come over and I ran back in the house! I told my sisters who were watching me at the time. I was scared to go out of the house for a bit! That was smart of you. Always follow your gut. If it tells you to run, run. I avoid strangers all the time. I will talk to anyone standing in line and such…but when someone I don’t know knocks on my door – I hide. LOL Even now. Hi Jolene, I am like your sister and always talk to strangers. Many times we find common ground and I realize how great it is to spread God’s love and realize how small our world is. Loved your story! This is more my dad’s story, but I eventually got involved :-) About 6-7 years ago, he noticed some new neighbors moving in 3 houses down from us, and tried to get my husband and I to go with him to meet them. I can’t remember now why we were tired and busy, but we were, so sent him off to meet them. I don’t remember now if it was then, or another time he and my husband helped them move some furniture, but somehow they found out that the wife had grown up in a church where we knew the pastor well, and had many mutual friends. The new neighbors became very good friends, and we still get together about once a year (they’ve since moved further from us). Wow. Lol. Is so easy to ignore the people around us. We get so busy. Thank you for sharing. Many, many years ago while on a family ski vacation in NM my sisters and I were watching people ski down the slopes as the rental house was at the base of the ski resort. Two individuals looked very familiar to us and after a few runs we realized they were our cousins. Spending unexpected time with family will always be a treasured memory. How interesting Jolene!!! I’ve had an encounter with “not” a stranger since we new each other for years…we’ve been in the same ministry and learned one day that we are related. That was a surprise :) small world indeed! Hello I Loved your story I was always told I was just like my daddy I never meet a stranger I love talking to people and my daughter always tells me Mom you know everyone !